Elijah needed food for both the body and soul, for forty days which in the Hebrew Testament is a symbolic number for a journey of the soul. Food for the soul can be some prayer, a good chat at a bad moment, the Mass. culture, art, music, prayer to feed the soul. 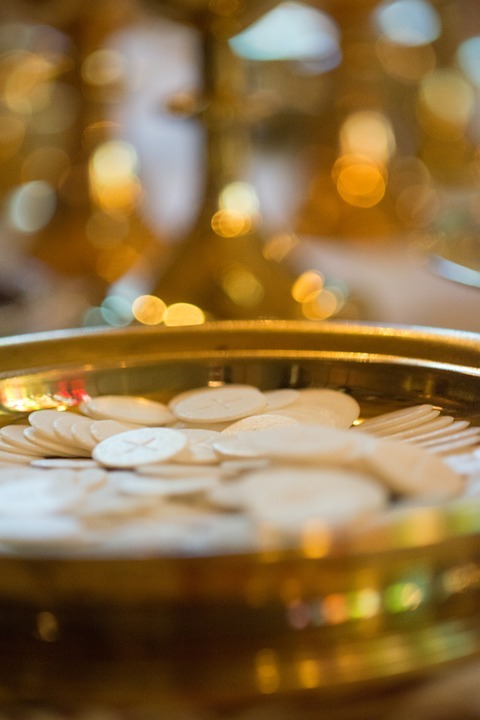 The bread of life of Jesus is both Holy Communion and other nourishment for the soul. Teilhard de Chardin writes: ‘we are spiritual beings on a human journey’. This means that at our deepest we are spiritual. Our essence is from God and for God, and the journey is human. Both are one. In all of this is the presence of Jesus. The one who is our bread of life, and through us he feeds others in many ways. In receiving the bread of life we commit ourselves to being ‘Eucharist People’ offering the love and compassion of God to the world. Sometimes we have to wait, and maybe sift through different moods. In the awaiting is the feeding. We are being fed all the time by God, and sometimes we don’t notice. The Eucharist is the summit of other feedings and meals. Our hopes of life after death and our resurrection give the food that always lasts. At the time of death we need reminders of meeting God in the next life! We might picture people in great need – of food, of meaning in life, of hope. Pray for them offering to bring food for body and soul when we can. Give us this day our daily bread, O Lord. This entry was posted in Gospel of John, Gospel Reflection, Liturgy Resources, Prayer Resources, Scripture, Year B and tagged August 12th 2018, Donal Neary SJ, Eucharist, food for body and soul, Gospel Reflection, Gospel Reflection for 19th Sunday Ordinary Time, Jesus, John 6:41-51, Sunday Gospel Reading and Reflection, Year B.